Railpictures.ca - Michael Da Costa Photo: CN 4713 and RLHH 3049 sit side by side at Brantford Yard, once sisters under the same company umbrella. The old girl was sold off years ago to another shortline, only for her to come back on Canadian rails as RLHH3049. | Railpictures.ca – Canadian Railway Photography – photographie ferroviaire Canadienne. 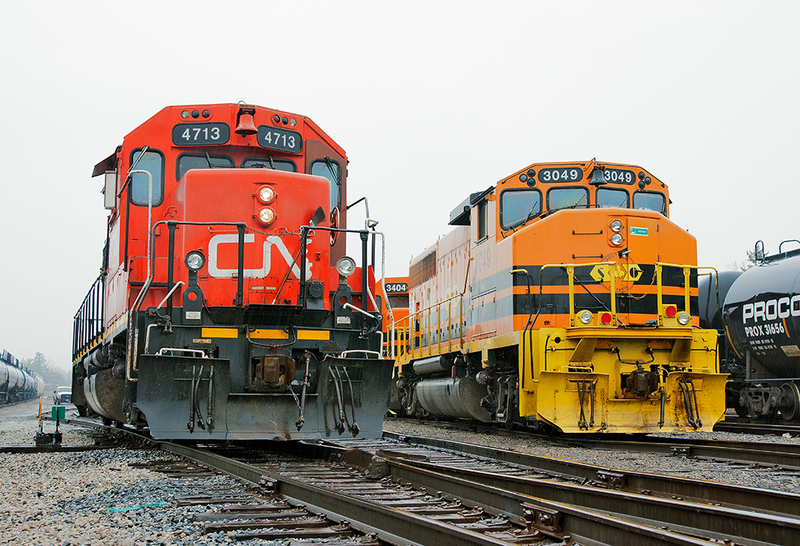 Caption: CN 4713 and RLHH 3049 sit side by side at Brantford Yard, once sisters under the same company umbrella. The old girl was sold off years ago to another shortline, only for her to come back on Canadian rails as RLHH3049.